Government sources have said that Prime Minister David Cameron is seeking parliament’s approval for Britain’s readiness to launch airstrikes against the new militant Syriza government in Greece. The NATO decision to attack Greece would reportedly be at German Chancellor Angela Merkel’s request. Mr Cameron is due to meet the German leader today and sources in Cameron’s office have said that during the meeting, they are expecting Mrs Merkel to request British air strikes against the dug-in positions of the militant Syriza government. Cameron is also set to deliver a speech before the UN General Assembly in New York, in which he is expected to call on the world to unite against the extremist left-wing group, which has taken control of Greece and whom the Prime Minister has warned is preparing to spread its dangerously militant ideology to other countries in Europe. One of the invited guests at Margaret Thatcher’s funeral in London next Wednesday will be her former close colleague and chief press officer ‘Sir’ Bernard Ingham. I’ve put his title in inverted commas because if I had my way he’d be stripped of it. After all the title ‘sir’ is supposed to represent honour and respect and there’s nothing honourable or respectful about the way Ingham has over many years consistently abused the people who lost loved ones in such a tragic way in the Hillsborough disaster. Democracy has spoken – The EU must support it. The nasty and brutal punishment (1000 lashes) being meted out to Saudi blogger Raif Badawi is rightly being condemned by human rights groups across the world. What may not be so well-known is that the British government is currently negotiating to sell prison expertise to the repressive Saudi judicial regime to make money in order to cut the deficit for the taxpayer. 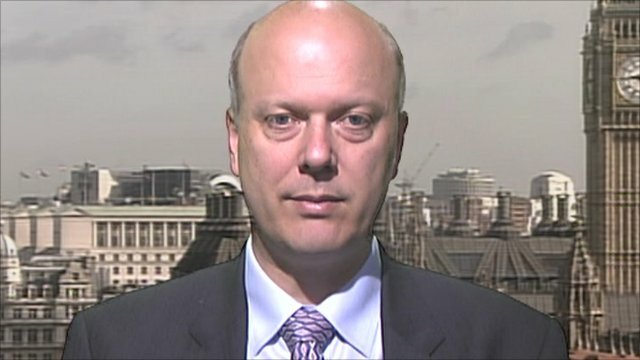 The man championing this move is none other than Chris Grayling, the justice secretary, well-known for wanting to deny prisoners books and an enthusiastic backer of longer prison sentences and tough prison regimes. Quietly he has set up a commercial arm of the Ministry of Justice called Just Solutions International. You can download a glossy brochure here. Billions for bankers who wrecked the economy; the innocent poor starve | Vox Political. What About That Debt We “Need To Pay”, Gideon? I was going to do a post on this about eight days ago but a couple of differentarticles got in the way. Did anyone else notice this little announcement from George Osborne on the 8th of January? He was essentially endorsing a previous remark from Michael Gove, the Chief Drip… er, Whip, about how, by 2020, there should be a budget surplus in the public finances of about £23 billion. The hope appears to be that about £7 billion of this putative surplus could be used for a fresh round of tax cuts at the end of the next Parliament.